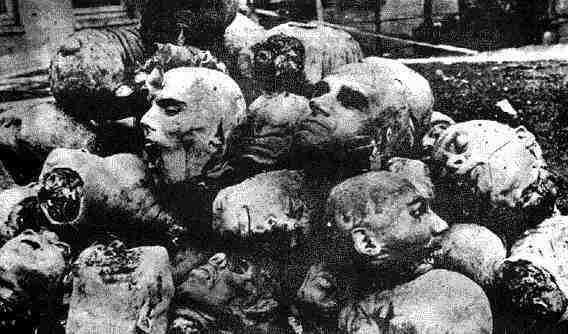 The Jews of Poland and Lithuania have suffered terrible persecution since the beginning of the war. 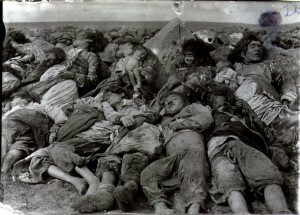 During the month of August (1914) they were forced to leave the zone near the border as quickly as possible. After a short time, these mandatory expulsions, carried out with excessive haste an cruelty, were applied further east with each passing day. Eventually, the entire Israelite population from Grodno, Lomza, Plozk, Kutno, Lodz, Pietrokov, Kielce, Radom, and Lublin was forced into the interior of the country in the direction of Podolia and Volhynia. Everywhere the expulsions were accompanied by acts of violence and plunder, carried out under the approving gaze of the authorities. One could see hundreds of thousands of unfortunates, driven aimlessly through the snow, driven on like cattle by bands of cossacks, in extreme want, abandoned in train stations, open fields, and the outskirts of cities, dying of hunger, exhaustion, and cold. And to improve their morale, everywhere they went these miserable people encountered the same feelings of hatred and rejection, the same accusations of expionage and treason. Never in all its painful history has Israel suffered a more tragic expulsion. And yet, there are 200,000 Jewish soldiers fighting bravely in the ranks of the Russian army! With every retreat of the Russian army, the police continue the expulsion of Jews. Wherever it occurs, the expulsions are carried out with the usual excessive haste, as mindless as they are cruel. Those affected are informed at the last minute; they have neither time nor opportunity to take anything along. They are hurriedly packed into train cars; they are forced onto the road like herds of cattle; they are informed of their destination, which is then changed 20 times along the way. And wherever the order is given for them to leave a city, the orthodox population descends on the ghetto and plunders it. Forced back in the direction of Podolia, Volhynia, Bessarabia, and the Ukraine, they are given over to terrible suffering. The total number of the expelled has reached 800,000. These expulsions were accompanied by bloody pogroms, lasting through the Civil War years, in which tens of thousands of Jews were murdered in cold blood. Descriptions of those carried out in the Odessa area may be found, for example, in Ivan Bunin’s Cursed Days. In the years immediately following World War II, as hundreds of thousands of homeless Jews continued to wander about Europe, it seemed obvious to President Truman and many other leaders on this side of the iron curtain that the best solution to the problem was the creation of a Jewish State. There they would have at least a fighting chance of defending themselves against the holocausts of the future. It is interesting to consider, with the benefit of hindsight, whether the founding of the state of Israel really was a good idea after all. However, while the existence of human moral emotions certainly cannot be ignored in answering that question, they should certainly not be consulted to arrive at that answer. Consider, for example, the contortions of the “progressive” ideologues as they chased the chimera of “the Good” as applied to the state of Israel. In the beginning, the Jews were the “good guys,” as seen, for example, in films like “Exodus.” Now, after demonstrating on several occasions that they are quite capable of defending themselves, they have become the “bad guys,” a much more familiar role for the Jews, who have always had the misfortune of being a “natural” outgroup wherever the diaspora has taken them. They are accused of favoring “apartheid,” in spite of Israel’s large Arab population, and the decimation of Jewish minorities in many of the states of north Africa and the Middle East. They are the ones guilty of “ethnic cleansing,” even as genuine ethnic cleansing of Jews from the Gaza Strip and the West Bank is accepted without a murmur. They are accused of atrocities against civilians, even as their enemies deliberately fire thousands of rockets at civilian population centers, and so on, and so on. All this demonstrates once again, as have a virtually infinite number of similar experiments throughout human history, that decisions of this sort should not be based on morality. The reason for this seems abundantly obvious. The moral emotions from which all moral systems are ultimately derived evolved at a time when entities such as the state of Israel, or anything else resembling a modern state, for that matter, simply did not exist. On what, then, should they be based, if we exclude the wonderfully satisfying but grossly destructive and unreliable moral emotions? Why, the human ability to reason, by default. It is, admittedly, a very weak reed to lean on, but it’s the only one we really have. Have you Hugged a Tea Partier Lately? It has always been obvious to anyone with an open mind that innate predispositions have a very significant impact on human behavior. These traits of ours have long been referred to as “human nature.” It is a remarkable manifestation of human behavior in its own right that the tribe of professional and academic psychologists somehow managed to ignore this truth through much of the 20th century. When thinkers like Robert Ardrey and Konrad Lorenz started drawing attention to the fact that the fine behaviorist costume of the emperor of psychology was imaginary, and he was actually strutting around naked, they reacted with rage. Since those days, they have have been dragged, kicking and screaming, into the real world by accummulating mountains of evidence, at least to the point of recognizing the existence of innate behavior. However, Ardrey and Lorenz also pointed out that certain of these innate behavioral traits, and, in particular, those associated with what we call morality, did not necessarily tend to “niceness,” and “kindness.” To this day, the assorted psychologists, sociologists, and anthropologists who have finally acknowledged innate behavior continue to studiously avoid recognizing this equally obvious fact, apparently dismissing a 5000 year history of human warfare and slaughter of “the others,” as a mere unfortunate coincidence. Instead, ignoring the implications of their acceptance of innate behavior, and dismissing anyone who objects as a “reductionist,” they continue to cobble away on their Brave New Worlds of “human flourishing,” in which a new morality, decked out in the latest fashion of the secular religion now prevailing on college campuses, will guide us into a glorious future of universal human brotherhood. I have one question for all these architects of a bright new human future. Have you hugged a Tea Partier lately? Human nature has a dual constitution; to hate as well as to love are parts of it; and conscience may enforce hate as a duty just as it enforces the duty of love. Conscience has a two-fold role in the soldier: it is his duty to save and protect his own people and equally his duty to destroy their enemies… Thus conscience serves both codes of group behavior; it gives sanction to practices of the code of enmity as well as the code of amity. Enmity towards “the others” is not something we humans can “unlearn,” or turn off at the flick of a switch. If we are to control it, we must first recognize its existence, and then proceed rationally to find ways to deal with it. If we succeed, then perhaps it won’t be necessary to constantly repeat, over and over and over again, such horrific manifestations as the slaughter of millions of Jews by the Nazis, or millions of “bourgeoisie” by the Communists. It will not do to cobble some fine new morality, because Enmity is a part of our morality. It is a part of our morality that must and will manifest itself, one way or the other, and it isn’t going anywhere because leftist academics choose to ignore it. It is a part of them, as well as the rest of us, and to see it they need only look in the mirror. If the paragons of the left really propose to leave hatred and hostility behind with just a few more salutary tweeks to their New Morality, isn’t it fair to ask, why all the furious denunciations of tens of millions of people over an isolated sign here, or the acts of a deranged madman there, or the unpardonable sin of being “overwhelmingly white?” Where’s the love? If these avatars of human flourishing via a new era of “kindness” and “niceness” really propose to free us of the demons of our evolutionary past by ignoring them, why all the viciousness, why all the irrational spite aroused against tens of millions by the real or imagined acts of a few, why all the eager fixation on the “evils” of this latest convenient “out-group?” Tell me, my friends, have you hugged a Tea Partier lately? For those still having trouble seeing the obvious, the “enmity” side of the Complex is once again on display in Kyrgyzstan, where, at last report, 75,000 members of the Uzbek minority were fleeing their homes, and scores were killed and hundreds injured. It is another data point to add to the many thousands of others that have occurred throughout recorded human history. One would think it had happened enough by now to convince even the most obtuse among us that human morality is a dangerous nostrum to apply in dealing with the relations between nation states, ethnic groups, political parties, and the other types of social groups of unprecedented size that have emerged very recently in human history. Morality is, inevitably, a two edged sword. For every “good” defended, an “evil” must be identified and defeated. The identification of those who are “evil” is typically arbitrary, and can quickly change to include those who were previously seen as “good.” Consider, for example, the Jews in Israel, who were the darlings of the left, and “good” at the time the movie “Exodus” was made, but have now become “evil” for those of the same political persuasion because they are no longer well suited to play the role of “victims” to be “saved.” Similarly, those who were only considered different a few years ago can quickly be perceived as the evil enemy in response to any number of stimuli in the form of social or political change, heightened competition for resources, ideological and religious propaganda, etc., and, literally overnight, become the victims of bloody witchhunts. This sort of thing has been going on for a very long time, and is becoming increasingly murderous and destructive. Is it not high time for us to finally learn to know ourselves and climb off the treadmill? At 95 years and counting, Turkey cries “murder” over a propaganda stunt, but continues to deny responsibility for the genocidal murder of 1.5 million Armenians in World War I. Those murders are amply documented, for example, here, here, here, here, here, here, here, here, and here.